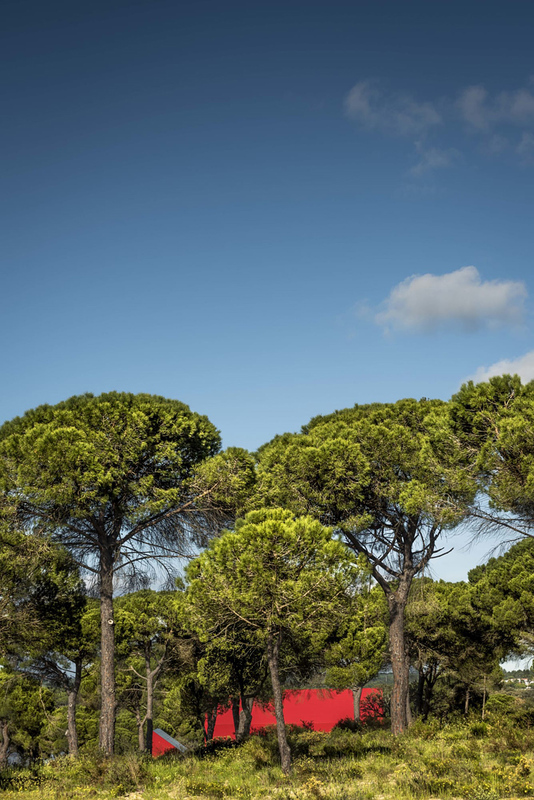 Herdade da Considerada is a tract of arid land with 500 hectares, about seven kilometres from Alcácer do Sal, dotted with cork oaks and umbrella pines. 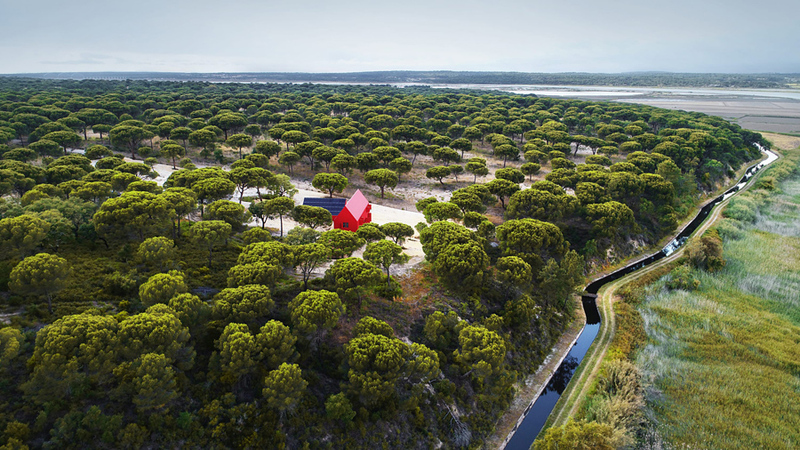 The resulting landscape is uniform in every direction and, as the architect Luís Rebelo de Andrade found on a preliminary visit, it is easier to lose your car at Herdade da Considerada than in a supermarket car-park. 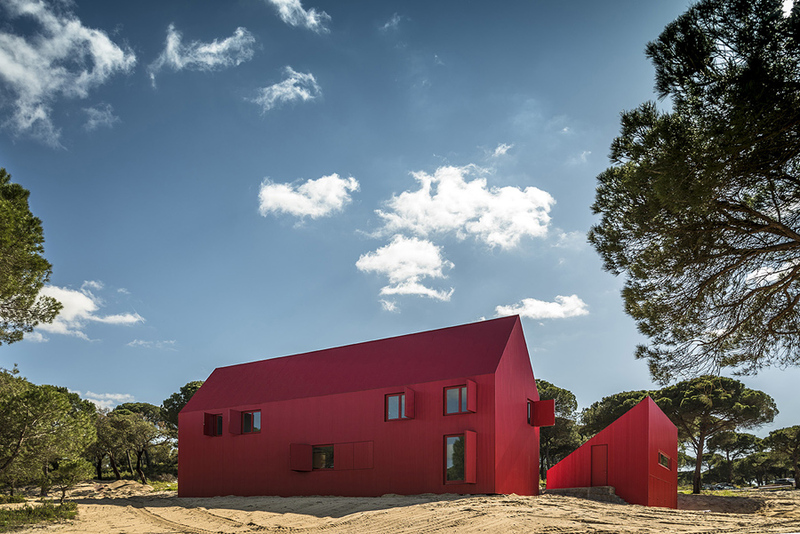 This experience led to a key idea that informed the entire project: in the absence of geodesic markers – which nature did not offer Herdade da Considerada – it is architecture that takes the place of the reference points that from time immemorial has guided man, complementing the landscape with a building that is overwhelmingly visible. 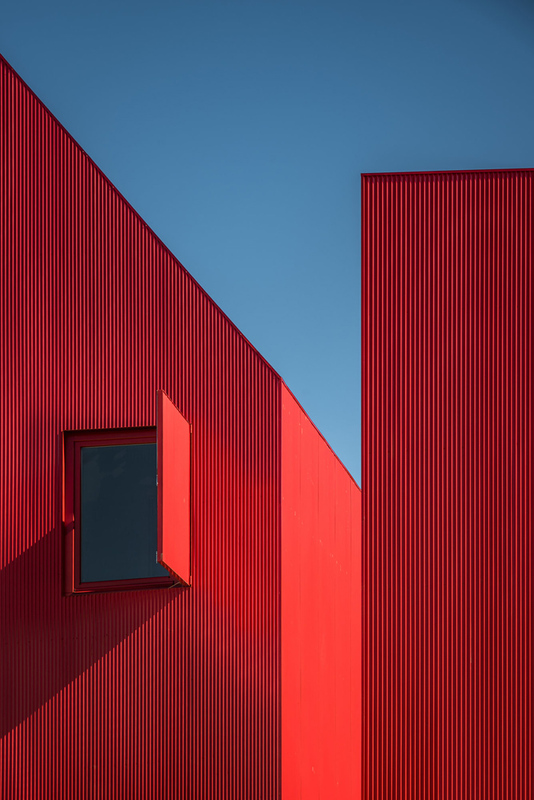 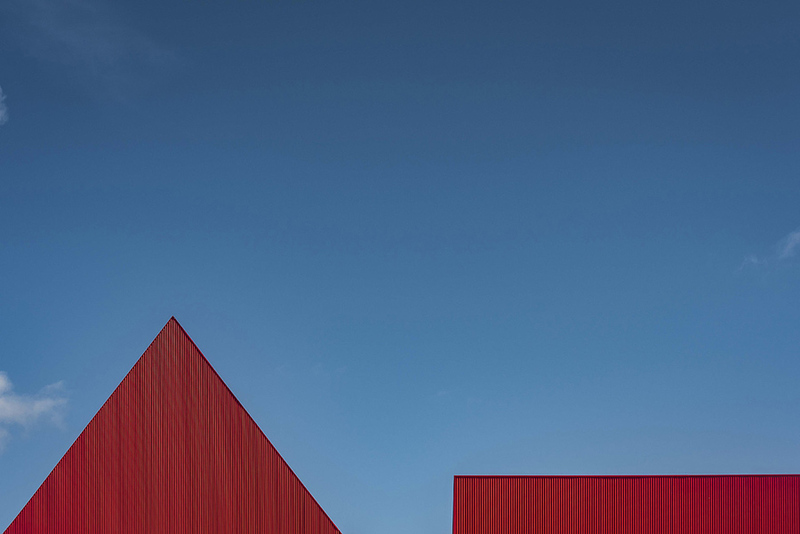 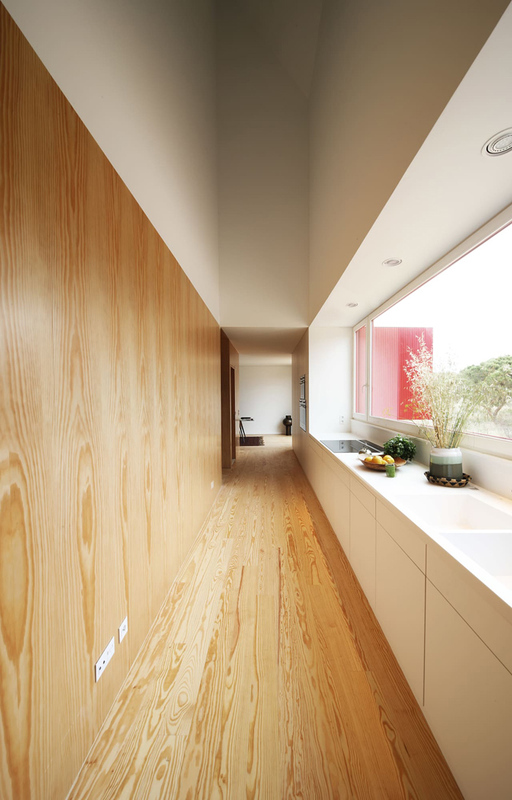 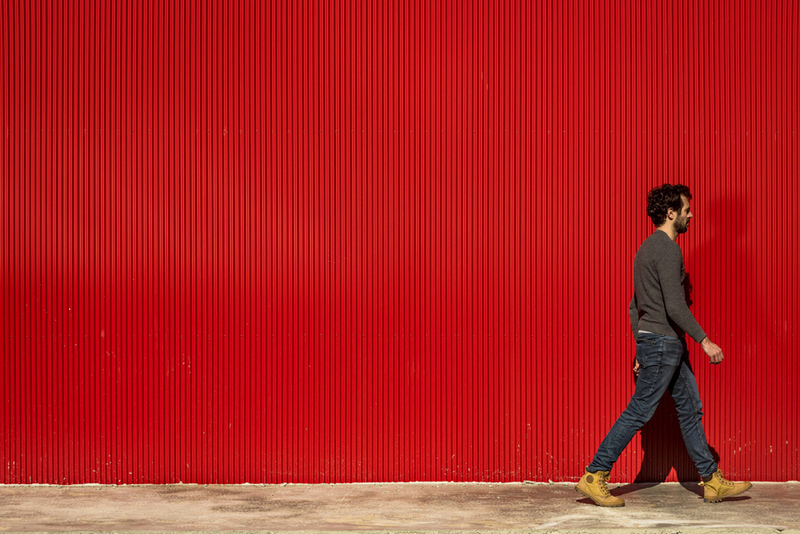 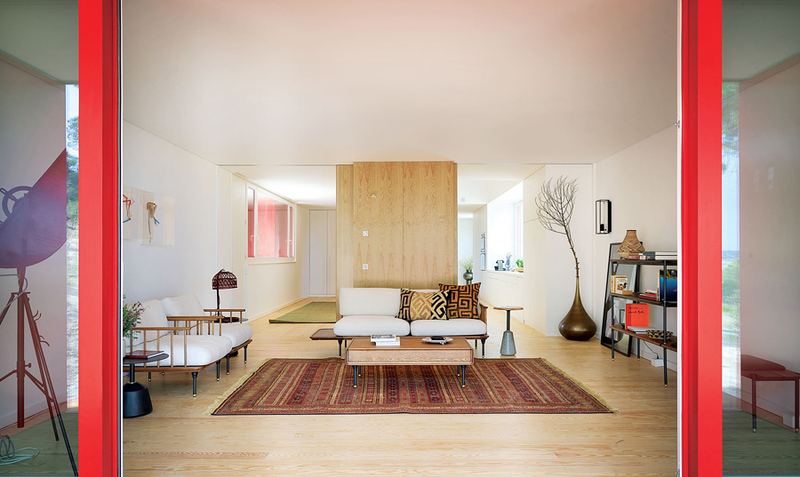 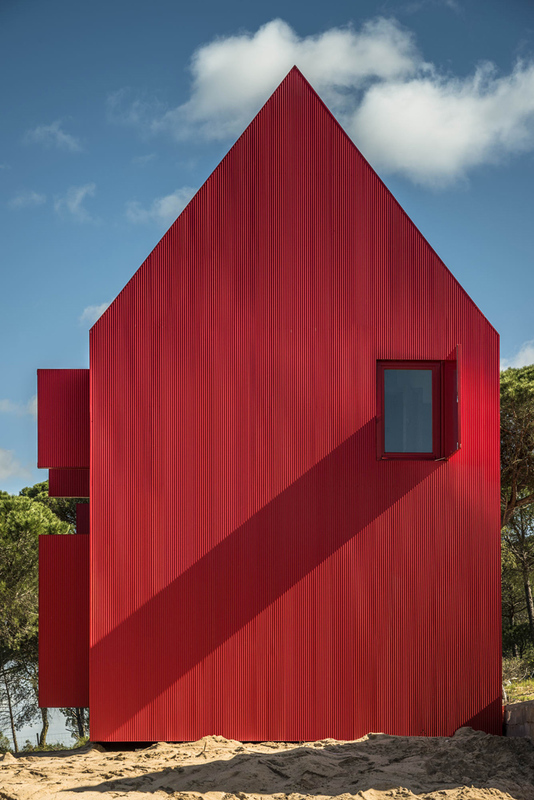 This minimalist red house, as well as the adjacent farm building, were designed to minimise building times and costs and to privilege energy sustainability. 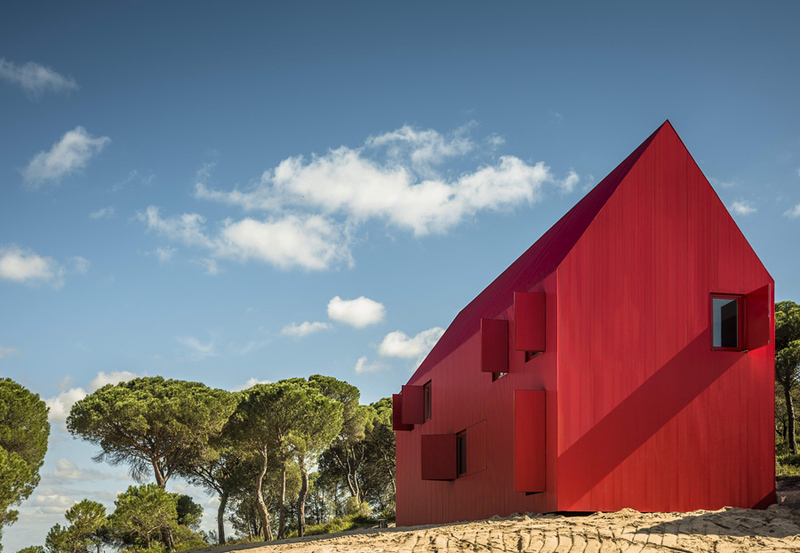 The solar panels and thermal collectors produce more energy than the house consumes, for this house is averse to energy wastage.